For the most part, life as a Netflix (NASDAQ:NFLX) shareholder is smooth sailing. Transitioning first from a platform distributor to an innovator, and later, from content distributor to creator, Netflix stock has earned its place on Wall Street. But last year’s topsy-turvy action in the markets has led many folks to question the disruptive firm’s relevancy. In July 2018, the NFLX stock price closed three cents shy of $419. Had the year ended at that point, shareholders would have banked a near-114% profit. Unfortunately, that’s not how things turned out. Some disappointing earnings reports confirmed that the company’s vaunted user growth was finally experiencing maturation. Given its historical problem with cash burn, investors balked at paying a premium for diminishing returns. As a result, Netflix stock suffered a precipitous decline in the second half of 2018. Now, stakeholders and prospective buyers are experiencing a case of deja vu. For this month, the NFLX stock price jumped to $325.16, or over 25%. No matter how you cut it, this is an impressive haul. But the worrisome aspect is that Netflix stock fell on the same negative catalyst: a disappointing earnings report. Although the company beat its target for earnings per share — 30 cents versus 24 cents — it missed revenue projections. Consensus called for sales of $4.21 billion. Instead, NFLX mustered only $4.19 billion. Of course, the most important metric for NFLX stock is the subscriber count. Internationally, Netflix decidedly outperformed, bringing in 7.31 million against a forecast for 6.14 million. However, its domestic haul — adding 1.53 million new subs against a 1.51 million forecast — underwhelmed. Is the once-mighty NFLX losing its grip? On the surface, shareholders have every right to fear the recent pullback in the NFLX stock price. For one thing, a revenue miss likely indicates that growth in the domestic market has peaked. In addition, Netflix suffers from a competition avalanche. Heavyweights like Disney (NYSE:DIS), Amazon (NASDAQ:AMZN), AT&T (NYSE:T), and Comcast (NASDAQ:CMCSA) have all entered the fray. Even MTV-parent Viacom (NASDAQ:VIA, NASDAQ:VIAB) placed its name for consideration through its Pluto TV acquisition. Under normal circumstances, I’d probably dump Netflix stock. Typically, it’s not a great idea to hold a company levered to a saturated market. Plus, the cash burn makes the entire proposition an onerously-expensive affair. But don’t forget why the cash burn exists in the first place. Netflix is disruptive not just because it innovated the streaming concept: anybody with enough resources can enter this space. What sets apart the company is their content. While the fallout in the NFLX stock price was occurring, Netflix scored a crucial victory, winning 15 Oscar nominations. We’re not talking about token nominations, either. A “Best Picture” nod for “Roma” confirms Netflix’s content credibility. The acknowledgment represents the clear progression in the company’s long-term strategy. 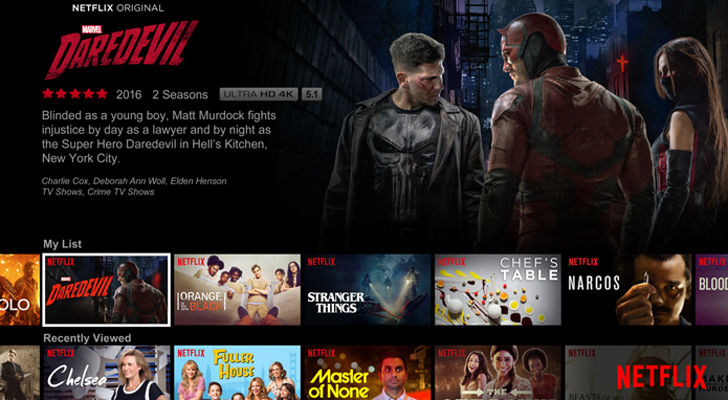 Last year, NFLX stunned industry insiders with its dominant performance at the Emmys. Having beaten TV content providers at their own game, their next step was the big screen. Of course, breaking into this segment requires vast resources. To get around this challenge, management made smart, cost-saving decisions. A critical one was the Netflix acquisition of ABQ Studios in Albuquerque. To further the point, the production budget for “Roma” was only $15 million. This measly sum proves that a great storyline counts more than mindless computer-generated graphics. Despite the obvious traction that Netflix has earned for its original productions, Netflix stock remains subject to human emotions. As such, the prevailing criticism towards the company will probably hurt shares in the nearer-term. Additionally, the NFLX stock price has gone up too far, too fast. Therefore, just from a technical standpoint, I’d like to see shares settle down before initiating a position. We also don’t need to be reminded that the broader environment — government shutdown, trade war, etc. — isn’t conducive for trading. But like all pressure-points and calamities, the bearishness will eventually fade. When it does, NFLX offers substantial growth potential. It’s already won the platform war. As we have just witnessed, it’s also winning in the pivotal content arena. Article printed from InvestorPlace Media, https://investorplace.com/2019/01/netflix-stock-content-driven/.